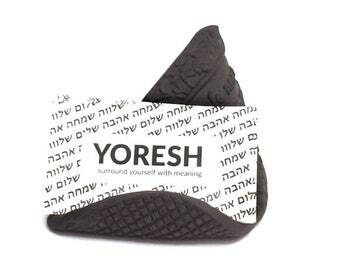 Announcement Yoresh is a pottery studio that combines Hebrew characters, with contemporary pottery design. 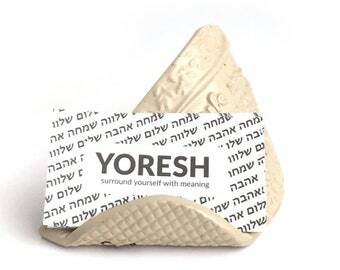 The receivers of Yoresh ceramics will have a constant reminder of their connection to Hebrew and to the Jewish world, right in their home! 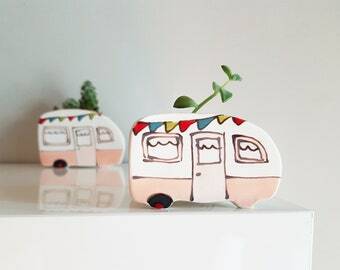 Everything Yoresh is making, is made by hand by Michal Yoresh, and sent worldwide from her small home studio in Israel. Subscribe to the Yoresh "kehilla" newsletter, to get notified of new collections, special sales, and coupon codes. 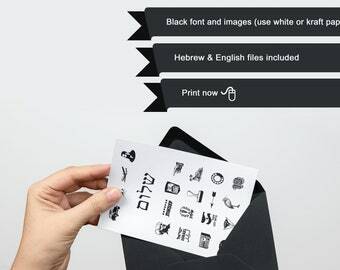 Yoresh is a pottery studio that combines Hebrew characters, with contemporary pottery design. Kosher food marker gift set. 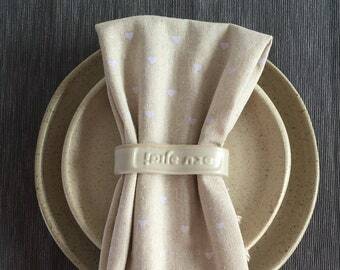 Ceramic food restriction label, Handmade in Israel, Jewish table decor, Jewish kitchen pottery, made in Israel. 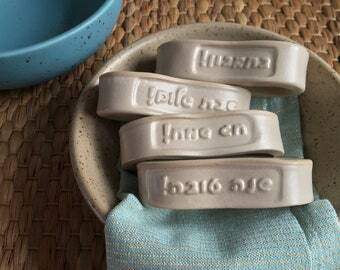 Rosh Hashanah ceramic napkin rings, Hebrew words Shana Tova - Set of five. Hostess gift for the Jewish new year. 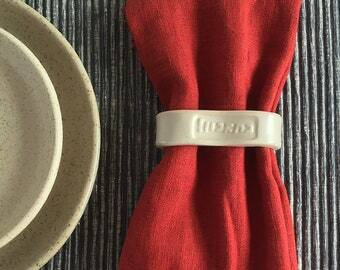 Chag sameach - Unique white napkin rings set that say in Hebrew happy holiday, Jewish Housewarming, Jewish mom kitchen home decor gift. 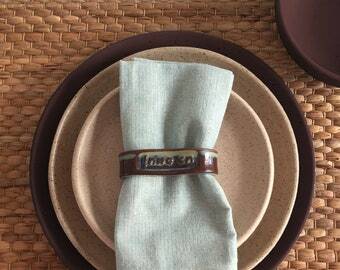 Five chocolate brown table napkin rings, Rosh Hashana decor gift, rustic napkin rings with the Hebrew words Chag Sameach, made in Israel. 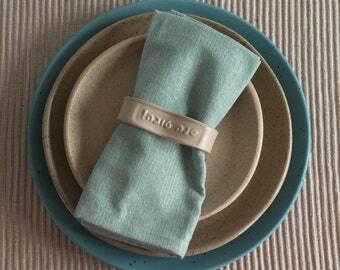 Jewish holiday gift, five brown and blue rustic napkin rings with the Hebrew words Chag Sameach, made in Israel. Jewish art pottery napkin holders, Hebrew words Shabbat Shalom - Napkin ring set of five. Jewish mom kitchen gift. 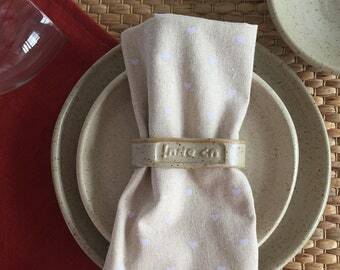 Oatmeal color rustic napkin rings, gift from Israel, Hebrew words Chag Sameach - Napkin ring set of five table napkin rings. Pottery napkin holders, Hebrew words Beteavon - Napkin ring set of five. Gift from Israel. Jewish holiday gift. 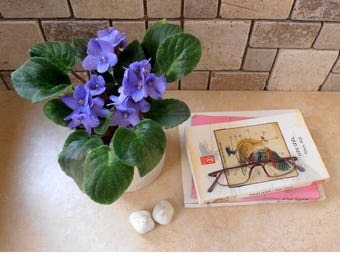 Home decor Judaica. 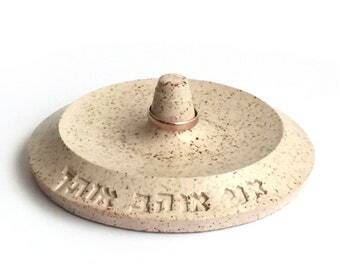 Hebrew letters on ceramic ring holder, Jewish mother gifts, I Love You in Hebrew, Jewish wedding gift, Jewish presents, Bat Mitzvah ideas. My second purchase from the very talented Michal. The mug is beautiful, even better than it looks in the photos. Ordered on 6/1/19 and it had arrived with me in the U.K by 12/1/19. Awesome product perfect size and shape to my taste and very high quality materials not even mentioning the outstanding artistic work. 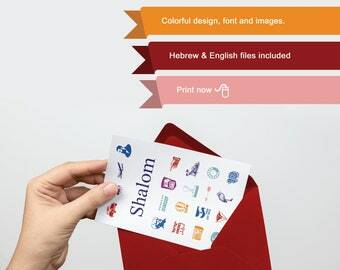 New collection: Printable Jewish greeting cards! Keep dishes or individual plates clearly marked and beautiful with these rustic food markers for food restriction or allergies. The food restriction markers are out of the kiln! Welcome to my pottery studio, I'm happy you are here. I specialize in combining contemporary pottery with Hebrew characters. 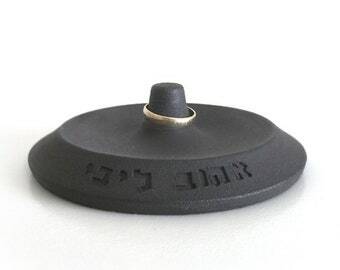 The receivers of Yoresh pottery have a constant reminder of their connection to Hebrew and to the Jewish world, right in their home! Everything here is handmade by me and sent worldwide from my small home studio in Israel. 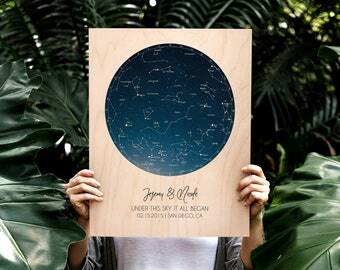 ..."They are beautifully made and make for such a thoughtful and inspiring gift! Michal is so prompt in shipping purchases out, and is kind and considerate in her correspondence. 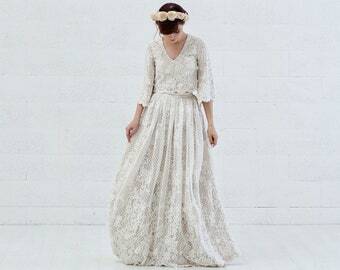 Will definitely purchase from her again!" ..."Superbly crafted, functionally perfect, and a true work of art". ..."This cup is beautifully designed, simple and elegant, and wonderful to use. I truly love it. Thank you". …"Would like to thank you for the awesome piece of art I have received in a perfect condition! It works great". 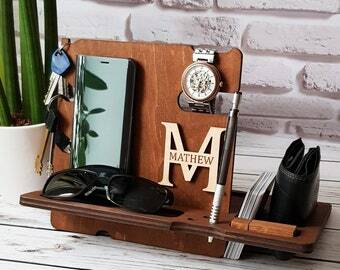 …"Not only did the item turn out just great, but Michal is a really lovely person, offering excellent service and perfect customization. I love my item, and the whole experience and communication could not have been better". …"You did a wonderful job with the scuttle. It is now my favorite, by far! " 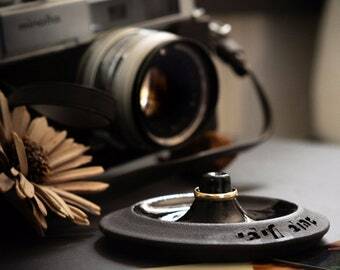 Yoresh is a small home studio, based in Israel, specializing in designing quality functional pottery. 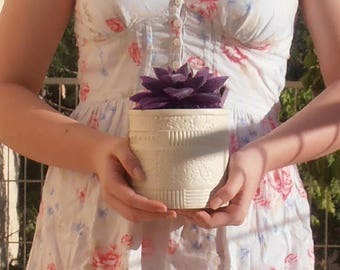 All my pottery-ware is food, microwave and dishwasher safe. 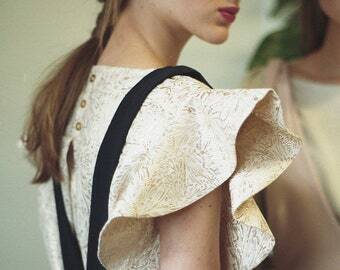 How do I get notified of new collections and sales? Does it really take three weeks to ship from Israel? I know three weeks to wait for a thing you ordered is a long time, so I always pay for extra in my postage just so you will be able to trace your package and see where it is in its journey across the world to you! Will the items be exactly as shown in the pictures? Pottery glazes are temperamental. It makes handmade pottery fascinating and unique. I make sure to take as many photos as I can to show you the items from all the angles, not only the extra flattering ones… And I take them again each and every time I open the kiln to stock the shop with the newest batch of pottery. So it will be similar to the picture, but never exactly the same. What if it will arive broken? Pottery is breakable, sometimes it can harm on the way to you. Usually, though, it doesn’t. I take pride in sending a new one completely at my expense, and as soon as possible, in the cases, it does break. So there is no need for negotiations and no unpleasant situations are to be expected. Pottery is fragile, and package handlers can be rough, so I package everything with utmost care. I don't gift wrap, Instead, I bubble wrap. I use a lot of bubble wrap, so your piece will arrive in perfect condition. What does it mean if I mark it a present when I purchase? When you mark a purchase as a gift, I don't include the price on the packing slip inside the box. But unfortunately, I'm required by law to state the value of the item on customs sticker on the box. So keep that in mind.